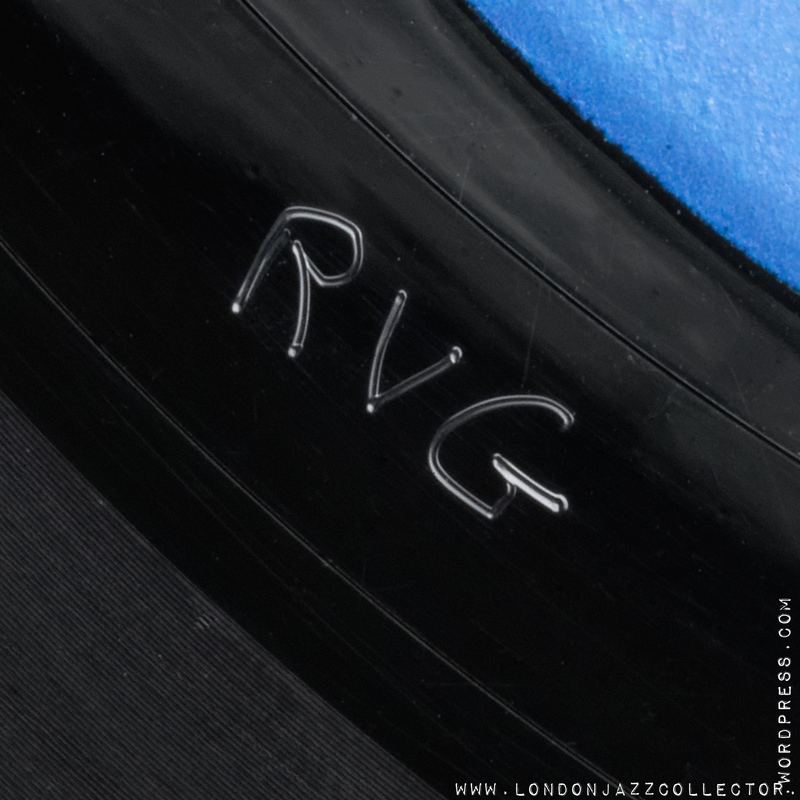 The hallmark of a Rudy Van Gelder master is the presence of his name or initials in the vinyl land between the grooves and the record label, variously described as the deadwax, runout or trail-off. 3) 1961/2 onwards, machine stamp VAN GELDER, roughly though not exactly coinciding with the introduction of the NY label. 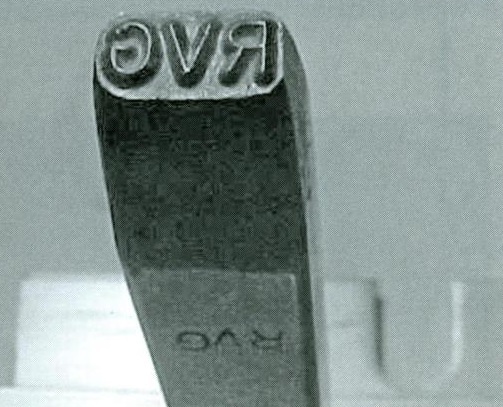 Some early NY label titles still bear the second RVG machine stamp. 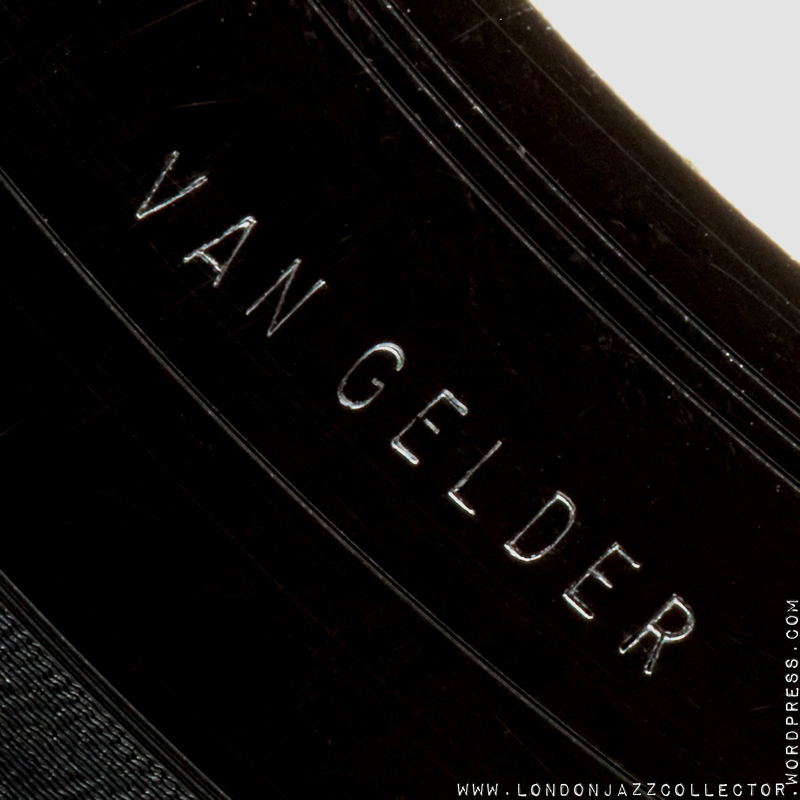 The Van Gelder hallmark was applied on the master acetate, and transfers during the various stages of metalwork through to the final stamper It indicates the mastering was carried out by Van Gelder and its absence means the master has been created by other usually inferior ears. 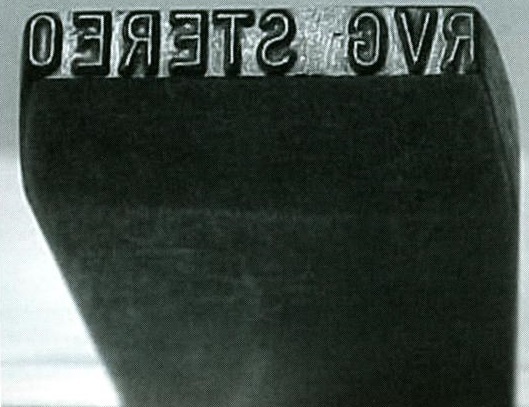 It is not however a guarantee of quality as Van Gelder-mastered stampers continued to be used during the Liberty and United Artists, in some cases beyond their useful life. Also, Van Gelder was not the only great sound engineer, and the quality of his tape mixes was often so high it was difficult for another engineer to make a poor transfer, though some did. Similar hallmarkings are found on Van Gelder’s work for other labels, notably Prestige and Impulse and as Rudolf reminds me, also Debut and Savoy. This stamp is found on some titles for Mosaic, Uptown, and a few other labels. Though his association with Blue Note was long gone, his Englewood Cliffs recording studio continued to be a sought after, and guaranteed work for Van Gelder. However, by the early 80s the lead Van Gelder had enjoyed over most other engineers in previous decades had narrowed. What had been cutting edge use of microphones and recording equipment in the ’50s and ’60s suffered in industry convergence to the mean – every studio had similar multi-track facilities, solid state equipment had replaced valves, and shortly the Evil Silver Disc would replace vinyl as a medium of music distribution. The magic is often no longer present with “MASTER BY – VAN GELDER”. In closing, Van Gelder would return to Blue Note in the ’90s by remastering his recordings for CD. Thanks for your amazing blog and your odyssée beyond jazz. Is an RVG hand etched is necessary limited to 1956 and 57 press ? Because i just acquire an Monk genius of modern music vol 1, with New York usa label on both side, 61street on back cover, but RVG hand etched, with 9m. So, is it possible that is an 1957 press with 1960 label and cover ? It is natural to be perhaps a little confused with Blue Note production until you understand the mixing of old and new elements in manufacture. Van Gelder mastering and metalwork remain a constant through many changes of label address, cover address and company ownership. The label and cover changed as fresh batches were printed and manufactured, but the vinyl was always pressed from original metal and bear the hallmarks created the first time around (RVG/ 9M etc) . The oddity is that stocks of labels were held in inventory, and old labels were applied to new records to use up old stocks, before new print-runs were ordered. The vinyl was constant, the label may be old stock, not current date, or latest iteration of company address, current new stock. Whilst the majors just printed and manufactured contemporaneously, small companies like Blue Note had to watch costs, guess quantities of consumables, juggle everything. Thanks a lot, LJC! Your blog provide hours of intense reading. And very precious tips. Have nice holidays. So is there a list of later 2nd or 3rd Pressing with Rudy’s stamp. I enjoy buying later pressing for cost but I just want it to have that RVG or that Van Gelder stamp so I get the real deal Master to listen to. I own Blue Note Pressing well into the 70s with the RVG stamp. It seems like the plates were still ok so they used them to press more? A list of every Van Geldered title would be a good idea but has never been done. Van Gelder metalware survived through the Liberty years to the United Artists years but its use was not consistent. Liberty, as you will have gathered from the latest post (January 2018) released new titles and reissues simultaneously with and without Van Gelder, for geographical manufacturing reasons. A fair proportion of blue label/ black note reissues have Van Gelder stamps – reissues mainly from United Artists Records Inc (1973-5) and some white note after United Artists Music and Records group reorganisation (1975-79). I initially thought they would be over-used stampers, but I don’t think we can be sure whether intermediary metal like mothers were put into service. They sound pretty good on the whole. After 1980 it’s a lost cause. EMI didn’t use Van Gelder metal, didn’t recognise it’s value, or lost the assets. Then with the rise of digital, everyone thought they could do better. My turntable says different. I picked up a copy of Lou Donaldson’s Alligator Bogaloo today (BST 84263). While at the record shop I noted that “BLUE NOTE” was stamped in the dead wax. I did not recall reading about this previously on the LJC website but today I was pleased to find a brief reference to this in the reader feedback section of the LJC post – “Blue Note Vinyl: Van Gelder’s stamp”. This Liberty Records release also included the “27 Years Blue Note” inner sleeve (type 9). I e-mailed a photo of the “BLUE NOTE” stamp today which I hope will be useful for illustration on your excellent website! The front of the jacket indicates copyright Liberty Records, Inc. but the advertisement on the reverse indicates “For Complete Catalog Write to BLUE NOTE RECORDS, INC., 43 West 61st St., New York 23” as it also appears on the inner sleeve. I have a question for you guys. I’m cataloging my collection on Discogs and there are multiple “releases” of Coltrane’s records on Impulse. Of the original pressings, especially in stereo, were the Van Gelder stamps on the original first pressings? At least one of these has been listed as a re-release and I’m guessing that the Van Gelder stamped records were the original relatively short run first pressings. I have a 10″ Tal Farlow Quartet, Lex w/ ear and the 9M, but no RVG, in spite of the fact that Rudy is credited with engineering duties on the back cover. Could it be that his earliest recordings were not stamped? In physical manufacturing processes, anything is possible, including mistakes and forgetfulness. On that occasion he may have forgotten to initial the acetate after mastering. However it was not unknown for duties to be split – he may have been the recording engineer but not responsible for the mastering, which I think is the more likely an explanation. RVG was very precious about signing his own work, more so than any other engineer at the time. Roy du Nann never sign his masters, nor anyone else of note. Absence of etching suggests absence of the master’s touch on the lathe. no copy on Popsike names RVG, nor on Ebay. can’t check Cohen’s book now. There is an original first pressing of this record for sale currently, and it too lacks the RVG in the runout. 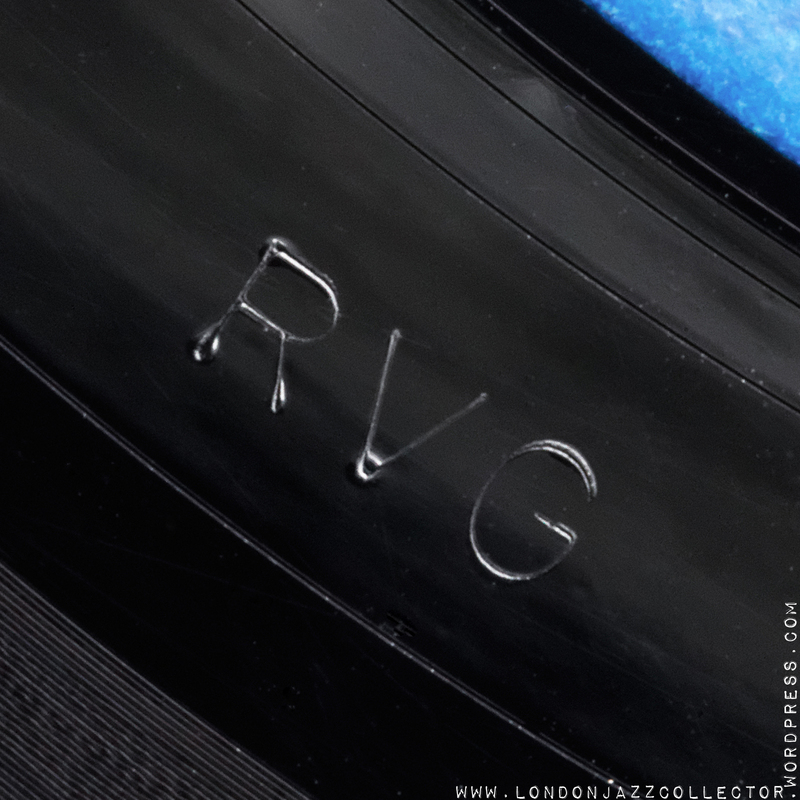 I wonder now about the other titles in the 5000 series, and at what time the RVG imprint first made its appearance. My # 5042 too is without rvg in the dead wax. I checked a title of which I am sure RvG did the recording (his dog is on the front cover), # 5044. It has rvg hand-etched both sides. For 5042, I think it is just an omission. I don’t think it’s been an omission Rudolf: up to 5042 Van Gelder didn’t sign. Fred confirms: RVG from 5043 on. my (autographed) # 5043 has RvG hand-etched. So that confirms what you (and Fred) are saying. But, of course, this does not imply that pre-5043 are not recorded by van Gelder. And that is what it is all about. Has there been discussion of “BLUE NOTE” stamped in the runoff on certain releases? I just picked up a demo copy of Jack Wilson’s Somethin’ Personal 4251 with the Blue Note stamp to accompany the Van Gelder one. A quick internet search surfaced a copy of Grant Green’s Street of Dreams with the same stamp. Hi Chris, not aware of any such stamp during the Blue Note period <1966. Both titles you mention were I believe pressed for Liberty. I've a fair number of Liberty Blue Notes and I don't recall seeing such a stamp. Picture possible? This week I picked up a copy of BST-8255, Jimmy Smith’s “I’m Movin’ On”, and it also has this BLUE NOTE stamp. I was meaning to send over a picture but it slipped through the cracks, I’ll try to get one over soon! Nice. I checked my copies of Boss Horn, Blackjack, and Sweet Honey Bee as well, but didn’t see find the stamp. Not sure what the chronology was in terms of release dates however. I’m wondering if there were limited pressing plants that were using the stamp, or whether all copies have them. I’ve got one original Liberty only, 84287, Ornette Coleman New York is now! matrix numbers, etched in dead wax, NO Blue Note. question to Liberty collectors: please email me label pics of any record WITH Blue Note stamped in dead wax. I think it’s the first time the interest is spotlighted to this feature I was unaware of. I know this is an old topic but I just picked up a copy of art blakey 84245 and it has ‘BLUE NOTE” stamped in the runout. This is a blue label black ‘b’ reissue with van gelder stamp. Courtesy of Fred Cohen, the stamping tools used. What about a stamped matrix number? I just acquired a copy of Midnight Blue, and the BNLP-4123-A is stamped, not etched in the matrix! The record has Van Gelder stamped on both sides, is DG on one side with NY USA on both, so likely an early reissue. But it also has the ear on both sides… which for me eliminated the idea that its some sort of counterfeit. I’ve never seen a stamped matrix number before. I’ll add that the inner sleeve is a 26 Years Blue Note sleeve, so dating from mid 1965 when it should be the one in use from 1963. So that plus the single side DG, we’ve determined its not a first pressing. But when did they stamp the BNLP #?? there are two issues with catalogue number stamped (not etched) in the dead wax: 4123 and 4125, unknown the reason. 4123 was issued double DG (LJC owes this one), no dg and one sided dg (Chris’). please Chris, mail me the labels’ pics so I can add them in the next edition of Blue Note Illustrated. I was unable to find photos of your version. thanks. 4125, Lou Donaldson, Goodness Gracious, not in my collection, also stamped matrix, I learned something new today. Actually the first parts I loaded on my phone a while back to accompany me to record stores. Didn’t realize 4000+ was available though! Does anyone know (or have any idea) why Van Gelder did not put his stamp on his Argo records? 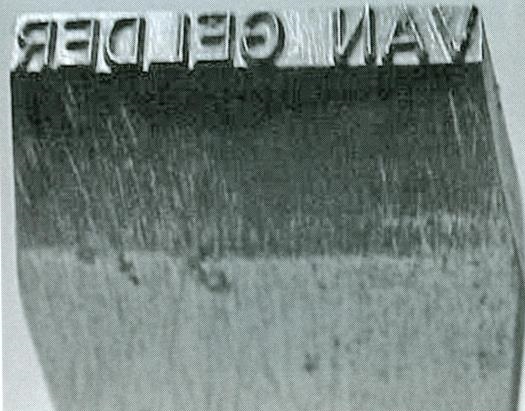 There are not many and they aren’t important records, but some were recorded at the same time as other records on which the VAN GELDER stamp always appears. and not to forget the Debut label with RVG hand-etched, but in tiny format. Savoy also needs to be mentioned.